This post was originally published on February 24, 2011. I have not worked full time in over a year and a half and have been unemployed for two months, when my seasonal job came to an end. I have not been able to find a job and am starting to think there is something wrong with me. In fact, my perceived flaws are getting to me so much that I can’t fully relax when I am out looking for jobs. When I e-mail a resume or walk into a company, I get into the mindset that I MUST be perfect, or I won’t get the job. I have to have a perfect background, perfect outfit, perfect hairstyle, perfect smile, and answer the questions in the way employers want to hear. If I make a mistake in an interview or have a hard time answering a question, I mentally kick myself for it. I have yet to pinpoint exactly what is wrong with me and what is holding me back. However, I think my insistence that I have to be perfect or I will instantly lose the job is playing a big part in keeping me from finding employment. How can I relax and stop putting so much pressure on myself? I feel like a failure because I do not have gainful employment, so I really want to find a solution to this. No, no, no, no! You do not need to be perfect. In fact, your attempts to be perfect in the way that you’re describing might even be hurting you — because my hunch is that in your attempts at perfection, you’re probably coming across as nervous and uncomfortable, and possibly even stiff. Most employers want to get a feel for who you really are, warts and all. We’re well aware that no one is perfect, so if we can’t see behind a mask of faux perfection, we get nervous — because we want to know who we’re going to be working with every day. If we get the sense you’re putting on an interview persona, that’s a negative — because you’re not going to be wearing that interview persona to work every day. I mean, yes, most normal people are going to be a bit more formal in an interview than they will be on the job, but we still want to get a sense of who you really are. Plus, that kind of self-imposed pressure for perfection (a perfection that doesn’t exist) also puts up a barrier to one of things that can turn a good interview into a great one — personal connection. It’s hard to connect on a personal level when you’re focused on being someone other than you. Easier said than done, I know, especially when you’re feeling the desperation of a long job search. 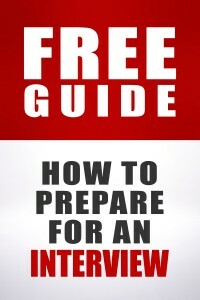 I have a bunch of advice for you on overcoming nerves and getting yourself into a better mindset, and it all happens to be compiled in the “nerves” section of my free guide on how to prepare for an interview. So read that immediately. Hang in there. You’ve got a lot of company in your situation, and it’s not going to stay like this forever. You can read the letter-writer’s update to this post here. The article cites fear over another economic downturn as the reason behind positions not getting filled – which ironically *will* cause the economy to get worse due unemployment rates staying as high as they are. Sometimes “perfect” is the enemy of “good.” Or “good enough to get hired.” What I tell myself when I’m on the job market is that I’ve prepared the best I can, that I know what I’m talking about, and that I did the best I could on the interview. Was every answer an unqualified winner? Nope. But in the situations where I’ve been hired, enough of them were. I’ve certainly not been offered every job I’ve ever applied for, including ones I was exceptionally qualified for. What it comes down to there is the size and strength of the applicant pool, and the stuff you can’t control (like organizational politics, search committee agendas, and to a large extent “fit”). TL;DR: Do the best interview you can and try not to worry about being perfect. Because if you run everything through the “this answer has to be absolutely perfect” filter, chances are you’ll wind up tongue-tied. The thing is, you may actually be a “perfect fit” already and not get the job. It doesn’t mean you did anything wrong. Having recently been on the hiring side of things, we had multiple great candidates for one position. All equally great in their own ways: Candidate A was the most junior, great attitude and perfect fit for a junior role, low salary but recruiter fee. Candate B had more experience and could hit the ground running, great personality, higher salary but no recruiter fee. Candidate C had more out-of-the-norm experience that could bring a great new asset to the department, but less straight-forward experience, middle salary and recruiter fee. We would have hired any of them, but we had to pick only one. It was a really tough call, where did we see the department going? Should we take C because that meant adding to the business plan, but who had less track record? B who could join and neede no training? A who was had all the foundations and we could train to fit our exact needs? All three were asking for relatively low compensation for what they would bring. Given the recruiter fee and salary mix, some were “cheaper” in the short run and others in the long run. And in the end, the decision was made by the finance department and the budget at that moment. I should say, it is not like we had a budget and ignored it and looked for more expensive candidates to waste everyone’s time. The budget simply changed based on unrelated factors and we had to work with the short/long term constraints. These are all things a candidate cannot control. So, be confident when you go into an interview, then let it go. Do not take anything about the job search process too personally. You could be the best candidate ever, but if funding for that position gets pulled, there goes your job offer. Anyway, preparation goes a long way in fighting nerves. 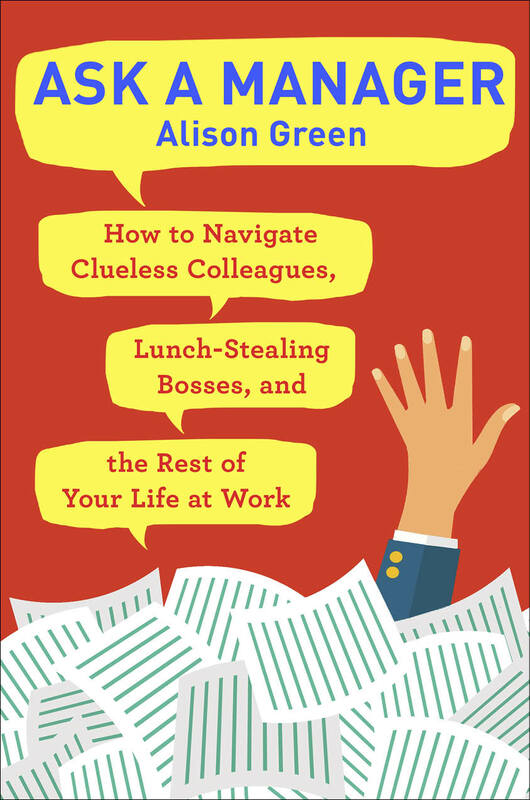 Alison’s interview guide has been such a great help to me (thanks, Alison!). If you haven’t already, I highly recommend that you check out her guide. Please do not think unemployment makes you failure. It does not! If you receive an offer on Monday, what has changed about you from today other than your employment status? Nothing. Your talents, skills, intellect, etc. are a part of you whether you have a job or not. – is well put and something I will try to keep in mind as I really needed to hear it today. Thank you Riki! Oh man…this post was me from two years ago! I’m happy to say I’ve been employed full-time for over two years now and have been with my current company for three. At the time of that letter, I was only working for them part-time and wasn’t sure if I’d be full-time, hence the reason why I was job searching. But as fate would have it, about nine months later, my company did bring me on full-time. It was a counter-offer, as I was having second thoughts about accepting a temporary position that had no chance of going permanent (yeah I know). But it has actually worked out well, as I was offered a promotion at the end of 2012 and have been in that role for about 10 months. The counter-offer was two years ago now, and since I was promoted, I’m assuming it wasn’t held against me. Granted, I now have the three-year itch and am looking for positions that will bring me closer to a career goal to work in a related field. I’m also starting grad school in January as a personal enrichment type of thing to learn more about the industry I want to be in. So it’s nothing personal against my manager (who was supportive when I told him I got into school) or my coworkers. Just at the point where I want new challenges, but things definitely looked up several months after my letter was published. It doesn’t sound like a typical counter-offer scenario, though. You needed FT employment so naturally you were searching, but it turns out that the company was able to hire you full time. I think when Alison advises against counteroffers, it’s when you look for another job because you are bored or don’t like your boss, because those issues won’t go away with more money. Thank you for reposting this, AAM. It really couldn’t have come at a better time. I have been out of work for over a year. I’m trilingual, have a BS from a very well regarded Northeastern college, and work in a somewhat atypical field that has lost alot of US based jobs due to it being cheaper to do in Europe. Anyways, I’ve tried finding jobs outside of my primary field because jobs in my primary field don’t seem to be abundant. I do get interviews, but never the job. I feel as though once you have over 10 years of experience, and are NOT the perfect match – but maybe an 80% match, that companies do not want to train you for the other 20%. I feel as though once you have over 10 years of experience, and are NOT the perfect match – but maybe an 80% match, that companies do not want to train you for the other 20%. 13 years after graduating college, I’ve been unemployed or barely-employed more than I’ve been employed, and out of work for two years now after getting laid off from my last job. I haven’t been able to *buy* more than one or two interviews per year, much less land a position. I, too, am all but convinced something’s wrong with me, especially since my both my little brother and friends a decade-plus younger are gainfully employed and living on their own while I’m still living with my parents and can’t do stuff they don’t think twice about. I feel like I’ve utterly and irredeemably failed Life, so I can’t tell you how very much I needed this reminder that I’m not entirely alone this morning (although I sincerely hope things turned around for the writer, because it is bloody awful). JT, will you email me? I want to see if I can help. I’ve been out of college for 13 years too. I graduated in 2001. I haven’t worked since June of 2011. I live in Boston. I can’t find a job to save my life. There’s alot of cheap labor in this city – cheap meaning 20-somethings doing mid-level management jobs for a fraction of the price of what they should be paying someone out of college for 13 years. I’m 34, single, and live with my mother. Not by choice, but because I have to. I’m so sick and tired of seeing 27 year olds doing MY job for less money. You know you don’t have to explain anything to me; I completely feel you! What are the sectors that are really hot in Boston right now? I’m in Detroit; now that it appears the State and Region Fathers have finally gotten the message that being a one-trick pony isn’t such a hot idea after all, this is an *amazing* place to be if you’re a venture capitalist, entrepreneur, engineer, computer anything, skilled tradesman, marketer, bio- anything and, very shortly, landscaper, city planner, or contractor. Or if you just want to do something cool that will take a lot of land (there’s even a guy starting a tree farm!). Oh my — I most certainly will! Ugh, me too — well, almost. I had a “normal” job for a few years after I finished my BA that I absolutely hated (and which triggered severe depression, making me near-suicidal). I changed jobs but I was still unhappy. So I decided to go to graduate school to do something that I actually enjoyed, which led to me moving overseas and doing a PhD. Although I finished, it was not a smooth process, and my academic field is now in serious crisis with very few jobs available. While it would be nice to do something that is related to the field I spent ten years studying, I am genuinely looking to change my career direction. The job I thought I wanted when I went back to school is now so competitive that my chances of landing it are slim, and in any case, I don’t want it anymore. I’ve applied for many different jobs, from data entry clerk to academic lecturer and postdoc positions, as well as signing up with temp agencies and temp worker registers in my field. I have revised my CV and cover letter countless times, always tailored to a specific job and following AAM’s advice. I am clear about why I am interested in any given job, and about my desire to change my career direction. And I have not had a single glimmer of interest in me — no interviews, usually not even a rejection notice. I even had an acquaintance working at a temp agency who was desperate for data entry clerks (and I should note that I do have experience in data entry) submit my CV directly to the person begging for people willing to do the job, and I never heard anything back. So now, two years after finishing the PhD, I am thoroughly convinced that I am unhirable. I actually started looking for part-time work a couple of years before I finished my PhD, so I’ve had about four years of this situation. I am not arrogant, I am reasonably smart, flexible, and a self-starter. I do not think that having a PhD makes me better or smarter than other people. By personal preference I try to apply for jobs that I think I would be reasonably good at, but I certainly don’t believe that any work is beneath me. I am a little introverted but not unfriendly, and I don’t think that I come across as a *complete* weirdo, or at least I hope not! Clearly I am doing something badly wrong, or there is something devastatingly wrong with me that I am not aware of. People keep saying that it’s just the job market, but it seems insane to spend four years looking for a job, any job, and still come up empty-handed. I get the exact same thing sometimes. I can’t get a data entry or temp job because I am overqualified and the HR people think that I think I’m too good for that work. As the last of ten children in a poor family, I understand hard work. Heck, when I was out of work a decade ago I put up sheetrock and remodeled houses for free. Since I’ve moved home, I’ve repointed stone foundation walls, painted, fixed porches, etc. Still, I’m perceived as “too good” for administrative work. That’s garbage. I can show them my rough hands, but to tell you the truth the very same working class hands are probably a turn off in research/office/professional interviews. HR people are very judgmental, and all too often not in a good way. Okay, so here’s something to remember: If you’ve reached the face to face interview stage, you’re already more than likely qualified to do the job. They’ll ask you a few questions related to the technical aspects of the qualifications you claim to have, but that’s generally as a means confirming that you haven’t bullshitted on your CV. 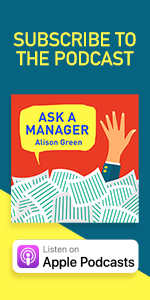 The main chunk of the interview is testing your soft skills, and getting to know you – finding put how you approach your work, how you’d tackle a difficult situation, and most importantly, figuring out if you’d be a good fit for the company. Now if you come across as less than genuine in your interview, this can actually work against you – if you’re spouting the usual tinned answers to sound like a perfect worker, that can be offputting. If you’re a keen person who really wants to work at this company (because you actually want to be there, not just because you want a paycheck), then this should come across in the interview if you just relax, stop worrying about being “perfect”, and just go through with the interview in an honest manner. So be perfect, yet strive to be imperfect. Is that what you’re saying? Don’t employers ever think their expectations are ridiculous? You have to be a robot, but you have to be a skilled robot with a personality. Is it really that hard to understand that people are nervous during interviews and MAYBE, just maybe they should give the person a chance if they seem like good, intelligent people? This is definitely my situation as well. I’ve been underemployed for a year and now unemployed for a few months on top of that. I’m 39 with a PhD and I’ve had to move back to my dad’s house (in another city). I’ve had (and continue to get) emails and phone calls with interest. I make it past the HR screens and at least one interview in most situations. Sometimes an HR person who doesn’t understand my field will screen me out, but that is rare. What seems to happen is that I become the near/second best. In one case, I wasn’t Christian enough (The “Describe your faith in Jesus Christ” question has tanked me a couple times, really) , and in another case, only 14 out of 15 interviewers wanted to hire me (I was “blackballed”). Once, I even had to travel to another city for an interview, only to have to enter an office to speak to a faceless manager over Skype (only my face/video was broadcast right in front of me) while a 22 year old HR officer stared at me silently for an hour. What happens in other occasions is that the position gets reported or stays unfilled. Sometimes, after completely blowing me off, they come back to me with an empty promise of consulting work. I’ve decided to continue to bone up on software and research skills, continue to stay in contact with my network, and work on building freelance income. Traditional jobs are dead. I am convinced that younger and female candidates are getting hired because that’s all I see. What can I do? I get attention, positive feedback on screens, interview well enough, and have a pretty good network, but still lose out to non-existent purple squirrels and pretty young women. I’m just not good enough for a job. b dnA”Encore Careers” sounds like something Grandma should be doing while on a pension and social security to keep busy. 20 years ago, 50 year olds were not expected to make way for the younger generation unless they were Rock Stars or fashion models. Most people do not have consulting type jobs (ie. office manager etc.). And have you looked at these Freelancer / Taskrabbit type jobs? They all pay about $3.00 an hour (if they even go that high). The only ones that can’t be done by someone in India are the ones that offer to pay someone to do laundry until you get there and find out it is 20 loads of $#!T encrusted bedsheets or something like that which would take 12 hours to do. Most of the jobs out there are not coder jobs in Silicon Valley requiring a degree from MIT. I was always the most computer savvy among my coleagues. Now noone believes I could possibly figure out how to use a mouse. And that I am going to act like some school marm and put a damper on the Nerf Gun fights at work. When the truth is, I don’t give a crap and I am 10000% cooler than they can ever hope to be. Nobody has yet to name these dazzling technological skills I am lacking in that I could not work any kind of desk job. I know that the average kid doesn’t know the first thing about how to use Excel beyond just adding a column of numbers (if they can even do that without having to be shown). Sure they can use a Sexting App, but that is not rocket science. And I blame these techo illiterate HR people for thinking that it is.